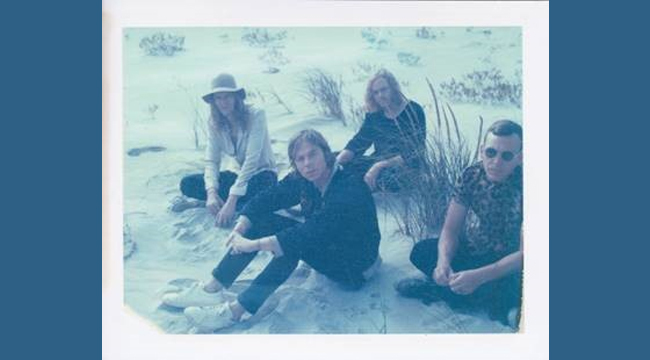 On its fourth studio album, Tell Me I’m Pretty, the follow-up to 2013’s Melophobia, which was nominated for a Grammy for Best Alternative Album, indie rockers Cage the Elephant expand their garage rock sound to incorporate elements of psychedelic rock and blues. Produced by Dan Auerbach of The Black Keys and the Arcs and mixed by Tom Elmhirst (Amy Winehouse, Adele, Florence + the Machine), the album was recorded at Easy Eye Sound in Nashville. Singer Matt Shultz phoned us from Nashville to talk about the album. The band formed ten years ago. How did the group come together? When we were in high school, we started a band with other friends. Naturally, as most high school bands do, we broke up. [Guitarist] Brad [Schultz], my brother, joined the second incarnation of my high school band and we had that band from the time we graduated and into our early college years. We had that band and two of those members quit to pursue school more heavily. You all had day jobs back then? Was there a good scene in Bowling Green, Kentucky? There wasn’t a lot to do. It’s a small college town. I don’t know if I’d call it a music scene but there were bands that played together. There was a place called the Pirate House where everyone would hang out. It was this old fraternity house and it was condemned and scheduled to be torn down a couple of years out. There was something weird. The owner had to keep tenants in the house for insurance. One of our friends who always seemed to find himself in incredible living situations, got a four-story house for one dollar a month. It was hilarious. All of our friends would squat there and we would have house shows and bands would stay there. That’s how the bands knew each other. When did you start writing the songs for Tell Me I’m Pretty? We started writing them pretty early because we had been touring so much that we shared a lot of ideas on the road over the two years of touring behind Melophobia. When we got home, it was around Christmas and we had two solid months just to hone the songs. We immediately started writing. They took shape and we knew what direction they would go in. Most records don’t turn out the way we thought they would. It really took shape in the studio. Did you actively recruit Dan Auerbach? We were on tour with the Black Keys and we’d become friends with Dan in the past on other tours. We both had it in our minds that we could work with each other. On a day off, we went to his hotel room and told him about some of the ideas we were working on and the new artists and it clicked and made sense. What did he do in the studio to bring out the nuances of your music? Dan has a great knowledge of really obscure weird music. He would come into the control room and just start spinning these records we’d never heard before. He’d play a garage rock band from Patagonia. We would listen to it and it would have an interesting rhythmic section or the bass would be super interesting. Once we all started to vibe out on it, our mind would leave where it currently was. Then, he’d have us go cut the song. Whether it directly changed anything I don’t know but it directly changed the spirit of the recording. I read that David Bowie was somehow an influence. What’s the story there? We’re huge David Bowie fans. I don’t know if it’s a stylistic influence. He’s influenced our approach in the way he would constantly reimagine himself with almost a childlike imagination. It was this ability to do so in a way that it was like he was making the first record. We like that idea. We want every record to feel like it’s the first record we ever made. What inspired “Punchin’ Bag,” a song about domestic violence? We were in the studio and Brad was being a little heavy handed with me, and I came up with the hook “I’m not your punchin’ bag.” After that, I didn’t want to write about a spat in the studio, but I thought it could be an interesting song if it was about the woman who became a serial killer. For whatever reason, that popped in my head. The record shows how much the band has grown. Where do you go from here? I don’t know. With each record, we try to leave enough elasticity to surprise ourselves. You want to be an accumulation of all the things you’ve learned over the years. We’ll continue to apply those learnings and push ourselves to learn more. When it comes to growth, I never looked it as a straight line. I looked at it more like a tree or plant. You grow in various directions and there’s still room to grow. If a guy like Bowie can continue to surprise himself and other people as well, that’s inspiring. Columbus, OH @ EXPRESS LIVE!